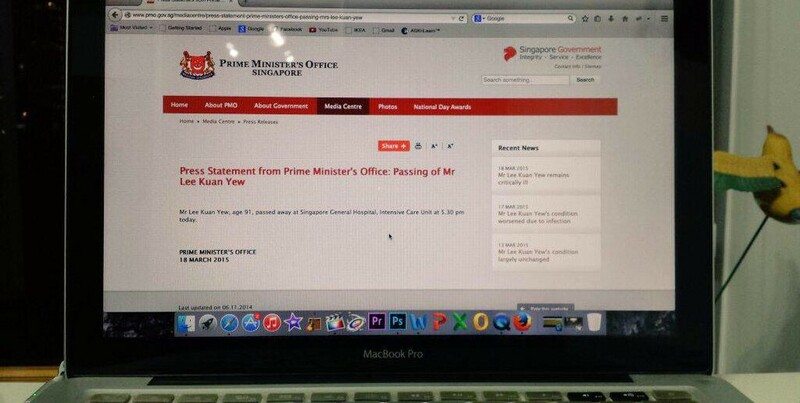 The teenager who was discovered to be behind the picture of the fake Prime Minister’s Office (PMO) webpage that announced the death of former Prime Minister Lee Kuan Yew has been given a stern warning. 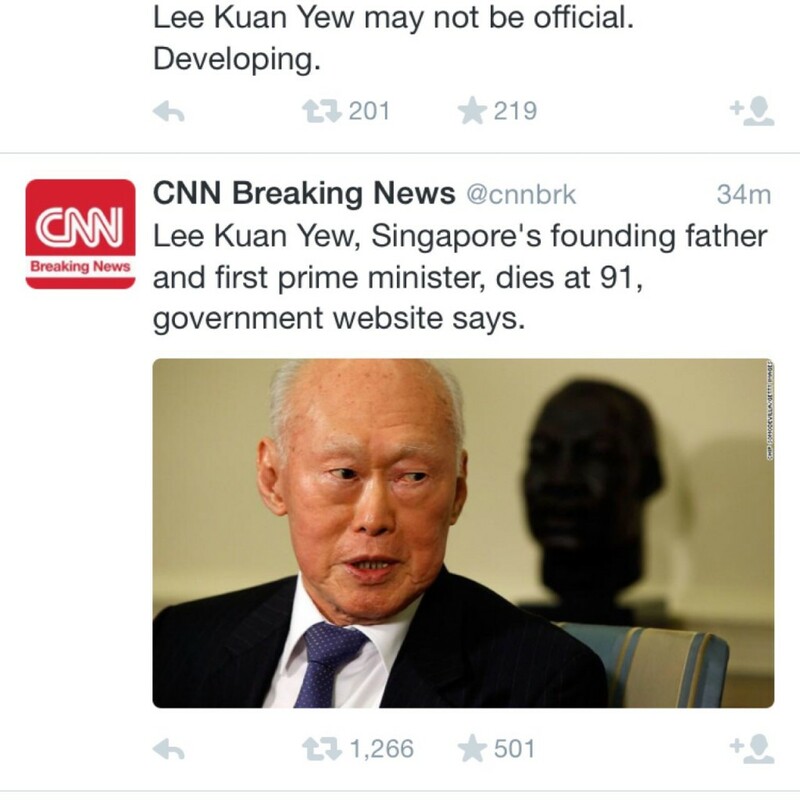 The picture that was circulating social media on the night of March 18 ended up fooling not only many anxious Singaporeans, but several international media outlets like CNN, China’s CCTV, and Phoenix New Media, all of which tweeted and wrote reports on their respective channels. 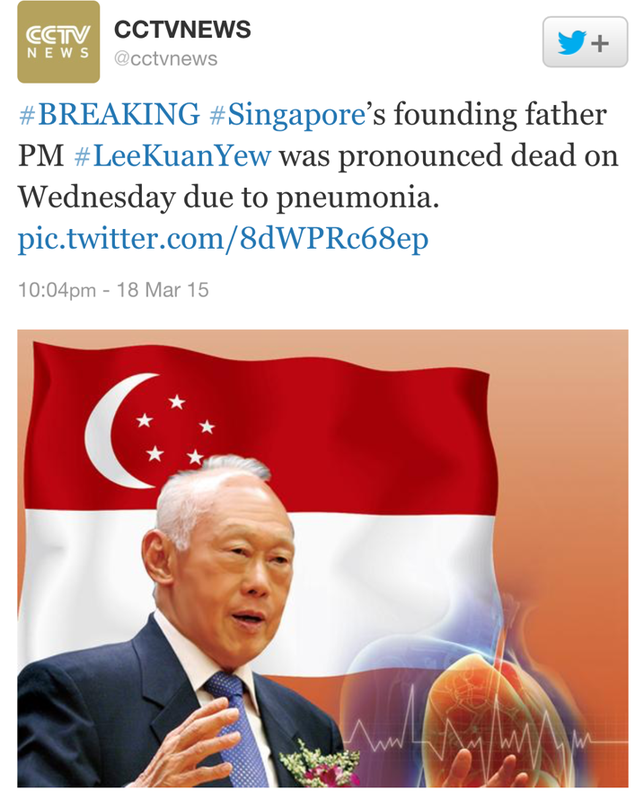 The picture was later reported to the police by the Prime Minister’s Office. The Attorney-General’s Chambers (AGC) announced today that the perpetrator was in fact a teenager, who admitted to having made “a big mistake”. 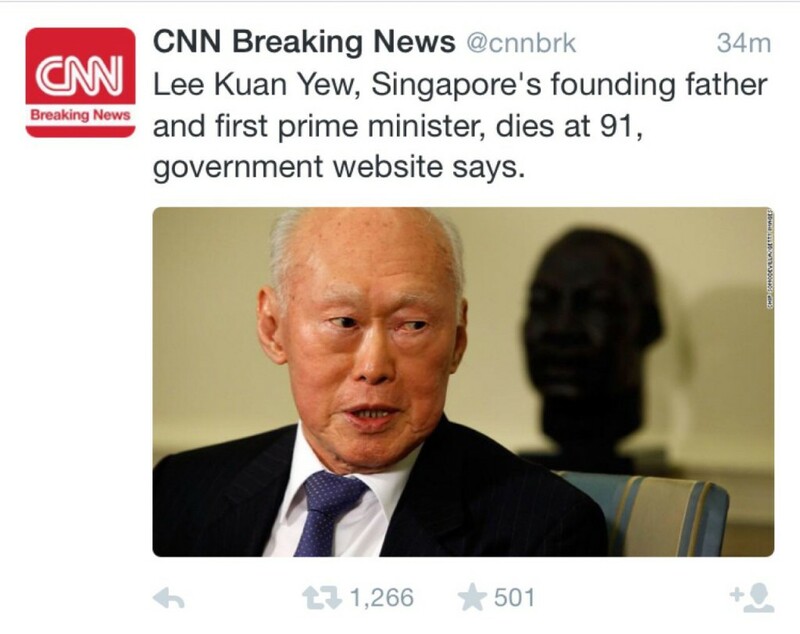 According to the teenager, referred to only as Z, he was so annoyed at the rumours about Lee Kuan Yew’s passing that he wanted to demonstrate to his friends how easy it actually is for a hoax to be perpetuated. He then made the photo and shared it with his friends privately, not intending for the photo to be circulated publicly. After a few minutes, he told his friends that the photo was fake, but by then, it had been passed on from its original recipients. “Z has been extremely contrite and deeply regrets the inconvenience and embarrassment his conduct has caused. He has cooperated fully with the police and explained the circumstances that led to his creation of the photograph,” the AGC said to Today. Today also announced that the AGC’s decision to administer only a warning was based on careful consideration of factors, such as Z’s personal circumstances and readiness to accept responsibility. Personally, I find this a relief. Any worse punishment would probably be too harsh, considering Z’s age. More often than not, we underestimate the speed and power of the Internet to pass on information more quickly than we can judge them, and perhaps Z’s point was proven a bit too successfully. He definitely underestimated his friends’ willingness to share any news possible, especially one as tense as that night of March 18. While Z’s doctored picture did unintentionally add to the drama rather than teach his friends a valuable lesson, it brings a more important question about where the finger should be pointed. After all, Z has apologised, as have CCTV and Phoenix New Media, but some internationally recognized news channels have not.